Home - Diaspora Action Australia | Peace. Development. Human rights. 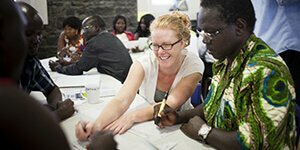 Diaspora Action Australia supports communities in Australia from countries affected by war and conflict to help them promote peace, development and human rights in their countries of origin. We rely on donations to help us support diaspora communities with training, mentoring, network building and increasing their influence in Australia. Your support will have a meaningful impact and is fully tax deductible over $2. DLN is a group of organisations committed to advancing learning and multi-sector dialogue on the role and contribution of diasporas to peace, development, humanitarian action and human rights. 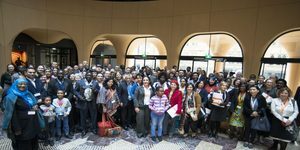 Diaspora Action Australia supports diaspora led initiatives. If you are seeking support for your development, human rights or peace building activity, please click here to learn about how we can assist you.